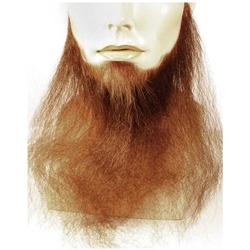 Full face beard made from Human Hair. Available in Black, Brown, Light Brown, Light Gray, or Dark Gray. 16 inches.